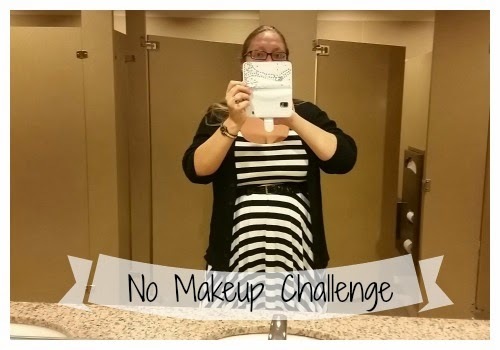 So for my 100th post I decided I was going to challenge myself a little bit - and I decided to do the no makeup challenge! I didn't wear makeup for an entire 6 days (I went out yesterday with friends on a double date, so yes I wore makeup). I took pictures almost everyday while I was completing this challenge. (okay so I forgot some days, my bad!) But I thought I'd let you guys know how it went, how I felt, and if any comments were made. First things first: Walking into this I completely expected my office manger to say something about me not wearing makeup all week. She did - and I'll tell you more about it below. To the left is the first day - and let me tell you, it was weird. 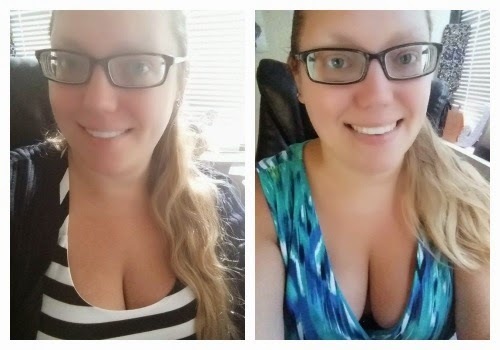 I usually go to work with no makeup on, but that day I went the WHOLE day without makeup on. I didn't even have any moisturizer on - it was just me and my bare skin. It was a tad bit uncomfortable because I felt like everyone could see my lack of eyebrows and lashes but pressed forward - hoping that as the second day approached it wouldn't be too bad. The second day came and went with very little comment from anyone - except my office manager. Who wondered "Why no makeup? Not even lipstick? You look so tired without it." Which I've heard before so I actually expected. Thursday I was feeling better about myself - and actually really liked the outfit I was wearing. I was getting used to the feeling of having a bare face so I was just going with it at that point. The last picture is for Friday (please excuse my breasts in this photo they were feelin' themselves) and I was wearing this AMAZING pant jumpsuit. It was freakin' fierce and I loved this outfit. I was definitely feelin' myself that day and felt more comfortable and confident in my own skin. 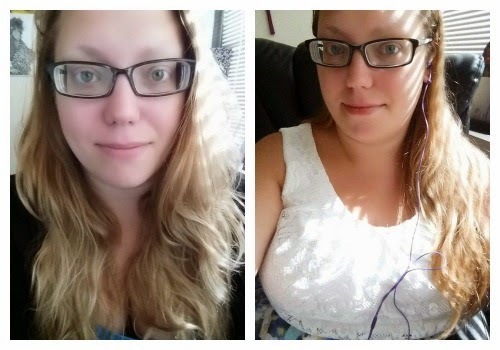 Overall, I learned that I don't need makeup to cover up my trich or to enchance my features. My fiance still loved me, the world didn't end, and I got 20 more minutes of sleep in the morning. Maybe I should do this more often? This is an awesome challenge though, GO YOU!!! Awh thank you! I was so terrified that like the world was gonna end or I was gonna be stared at like an attraction at the freakshow. But none of those things happened and the only person who said anything was my office manager - so I'll take that as a success! I've been experimenting with makeup like crazy since I ended the challenge though! haha! You look just as gorgeous without! I think I enjoy putting mine on too much to part with it. I love applying my makeup - but it was nice to know that it wasn't a necessity to complete everyday. Everyone loved me anyway! If I looked like this without makeup I'd do it every day, you look great!